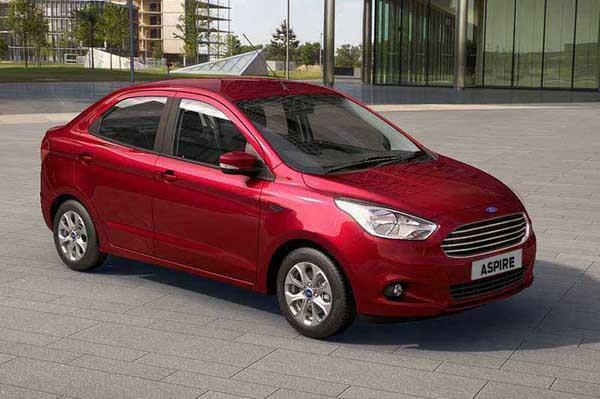 Ford India, the Indian alliance of U.S. based car maker has upgraded the top end Titanium Automatic Trim of its compact sedan Aspire with additional airbags. With this up-gradation, the top end variant of Aspire compact sedan now embellishes seven airbags. Earlier the trim was equipped with only dual front airbags. The newly introduced airbags include drive knee airbag, which is for the first time offered in any car in the segment. The Titanium trim of compact sedan with manual gear transmission system has dual front airbags and anti-lock braking system as standard features, whereas the top end variant with manual gear transmission has witnessed no change in integration of additional safety features. Prior to this change, company has upgraded the mid-level trim Trend with anti lock braking system as standard feature. It would be interested to know that upgrading its vehicles has been regular practice of Ford Motors. With this recent update it is speculated that car maker intends to offer true value of its products to customers. At present the compact sedan is offered in both petrol and diesel variants with options of 1.2 litre and 1.5 litre in petrol trim and 1.5 litre TDCi in diesel trim.